A transgender woman has unseated one of Virginia's most socially conservative lawmakers to become the first openly transgender member of the House of Delegates. Democrat Danica Roem beat Republican incumbent Bob Marshall in Tuesday's election in the northern Virginia district near the nation's capital. Marshall has served in the House since 1992 and has been a lightning rod for controversy. He has often drawn the ire of even his own party. Roem is a former journalist. 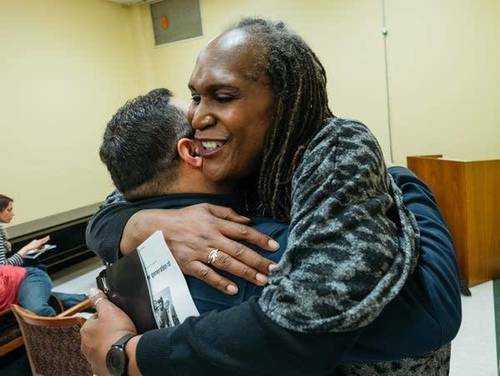 She will make history as the first openly transgender person elected and then seated in a state legislature. But her gender identity wasn't a key part of her campaign. Instead, she focused on jobs, schools and northern Virginia's traffic congestion. "I would say with a high level of confidence that both of our questions passed," Anoka-Hennepin School District superintendent David Law said just before 9 p.m. Tuesday night. With 27 out of 32 precincts reporting in the state's largest school district, both ballot questions had about two-thirds support. The Anoka-Hennepin school district is seeking $9.5 million a year for ten years in operating money and a $249 million bond issue for facilities upgrades. "With these passing we're going to build two new elementary schools and get rid of 62 portable classrooms across our system within the next 4 years," Law said. He said funds will also go toward security upgrades and lowering class sizes. PORTLAND, Maine — Maine voters on Tuesday approved a measure allowing them to join 31 other states in expanding Medicaid under the Affordable Care Act, the signature health bill of former President Barack Obama. LePage's office didn't immediately respond to a request for comment. The initiative's supporters have reported spending about $2 million on their campaign, with hundreds of thousands of dollars coming from out-of-state groups. By comparison, the lead political action committee established to oppose the measure has spent a bit less than $300,000. 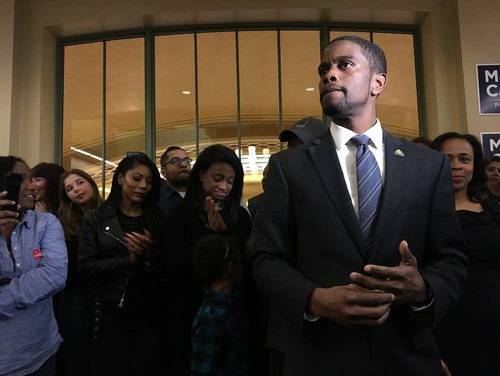 Melvin Carter has been elected mayor of St. Paul. The DFLer, who received about 51 percent of first-choice votes, is the city's first African-American mayor. He previously was St. Paul's Ward 1 City Council member and a staffer in Gov. Mark Dayton's administration. Carter succeeds Chris Coleman, who is running for Minnesota governor in 2018. "We have more people living here than we have in a generation, more places to catch a game, experience the arts, or just grab a great meal or local beer. I think we have work to do to make sure this is a city that works for everyone, where everyone in every corner of our city knows that they have access to the highest quality of public services possible, and building an economy that works for everyone." Winona Area Public Schools' $82 million facilities referendum appears to have been roundly rejected by Winonans and area residents who turned out to the polls Tuesday — a heavy blow to a district with aging school buildings and an increasingly grim budget outlook. At press time, the district had unofficial results for two of its five polling places: Winona Senior High School and Goodview Elementary School. Between the two schools, 91 percent of voters checked "No" on this year's lone ballot question: Should the district receive $82 million from taxpayers to consolidate its elementary schools and maintain, renovate or expand several district buildings? "In the early results, it's clear that a large number of folks voted against this referendum plan," said Superintendent Rich Dahman, who reiterated that the district was waiting on results from the other three polling places.